Drivers in Edmonton, Alberta, have long been known as some of the worst in the nation. As a whole, they disregard traffic laws and safe-driving practices while acknowledging that this leads to accidents that may involve serious injuries or fatalities. Several organizations, including a local law firm, have decided to do something about this issue by developing mobile applications to help drivers who are involved in automobile accidents. It is no secret that Edmonton drivers are notoriously bad. The rate of car accidents in the city is higher than that of any other city in Alberta and all but five cities throughout Canada. The city of Edmonton is home to so many bad drivers that entire websites and social-media accounts are dedicated to this fact. Take, for instance, BadEdmontonDrivers.com, where photos and stories of eyewitness accounts are published regularly. There are also several social-media accounts based on the number of bad drivers in the city, including @YEGTrafficBlows on Twitter and two YouTube channels: Driving Edmonton and Area and Oil City Drivers. Official statistics also corroborate the claim that Edmonton drivers are terrible. According to the Edmonton Motor Vehicle Collisions Annual Report, 24,627 collisions occurred in 2014, which is a rate of 29.26 per 1,000 people. Of these accidents, 2,912 involved injuries and 22 involved fatalities. One reason for all of these accidents could be a surge in the number of distracted and impaired drivers. To make matters worse, Edmonton residents freely admit to engaging in dangerous driving behaviors. For instance, 99 percent of drivers say that speeding on residential streets is a threat to safety, but 40 percent admit to doing so within the past 30 days. Even though the city and provincial governments are trying to solve the problem of bad drivers in Edmonton, a private-sector law firm has taken matters into its own hands to help people involved in traffic accidents. Cummings Andrews Mackay LLP has sponsored the development of an auto accident app, which provides a number of tools to assist drivers in the stressful period immediately after accidents occur. The tools take the guesswork out of what should be done in the event of an accident. The app is easy to use and follow, even by those who are still shaken by the accident and are unable to think clearly. This not only protects the rights of users but also prepares them to deal with injuries. The built-in video recorder captures footage for easy identification. The GPS locator records critical location-based facts about the accident. The FAQ section contains details of all parties involved (such as auto insurance info). A text interface is available for recording additional details and other notes. Discover the closest medical facilities with the Emergency Services Locator. In addition to the Auto Accident App, several other applications are also available to help prevent car accidents or assist those involved in accidents. DriveSafe.ly – a mobile application designed to prevent accidents that could be caused by distracted driving. The app reads text messages and emails aloud in real time without having to touch the phone. It is easily activated with the push of a button and is compatible with Bluetooth and radio transmitters. The developers claim to have prevented nearly 2.2 million potential accidents so far. SOSmart – a powerful app that automatically detects when accidents occur and sends emergency notifications to predesignated emergency contacts. When you are in an accident, your emergency contacts will receive a loud audible alarm on their mobile devices, and a panic button is available for sending notifications manually. It also allows you to locate nearby hospitals. iCar Black Box – is only available for the iPhone, but it is very helpful in car accidents. The app works like an airplane’s black box, recording all of the events leading to an accident by turning the iPhone into a dashboard camera. The GPS keeps a constant record of the vehicle’s speed along with the time and date. It can also automatically detect accidents, and upon doing so, the phone asks whether you would like to dial a pre-assigned emergency number. 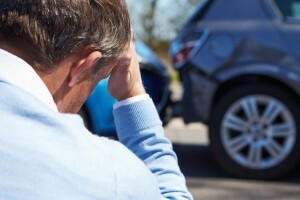 Of course the best defense against an auto accident will always be a sharp awareness of your surroundings while driving. As technology improves though, and more tools become available, car accidents can hopefully be a thing of the past. Author Bio: Born and raised in Edmonton, Melanie Nathan is a veteran digital marketer who works with many local brands to help them get their messages out. She also writes columns for HuffPost, Examiner and Business.com. Connect with Melanie on Twitter to learn more.